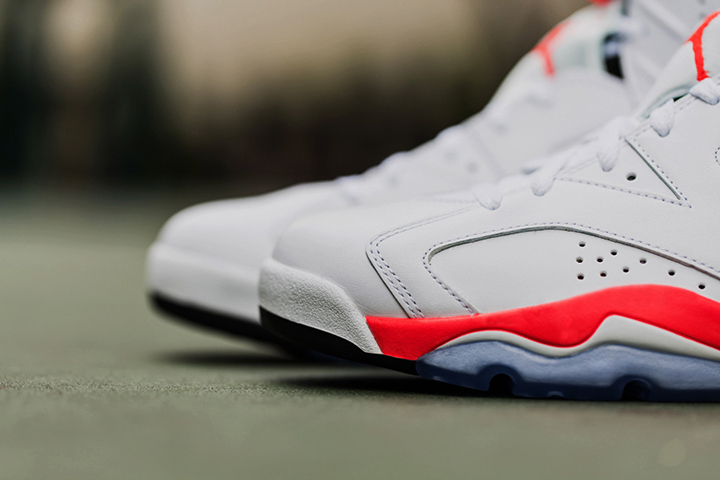 It’s been a while since we’ve seen the Air Jordan 6 Infrared make an appearance. 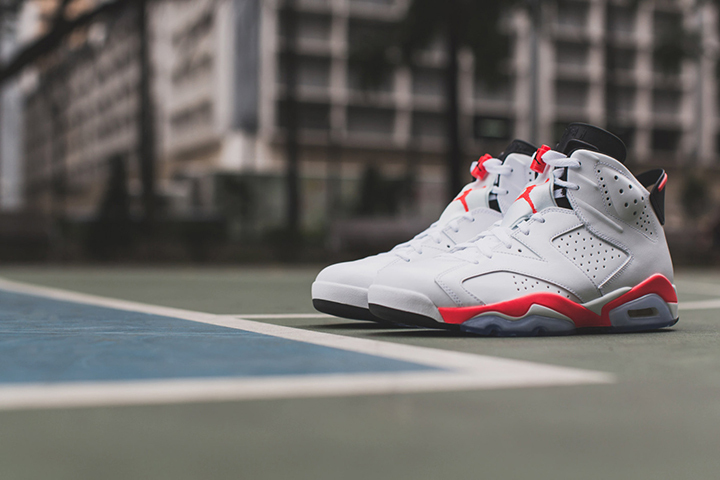 Back for 2014, Jordan brand get back to basics with the reissue of an original AJ6 colourway. 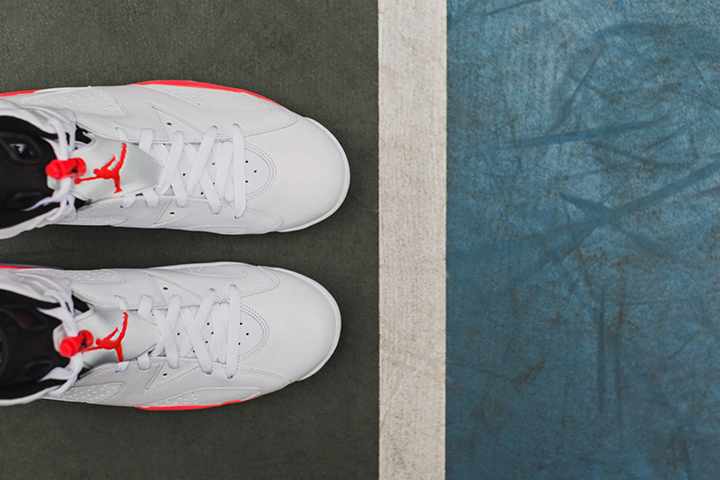 The varsity red versions four years ago were disappointing to those who expected something like the original version, with it’s distinctive infrared accents. 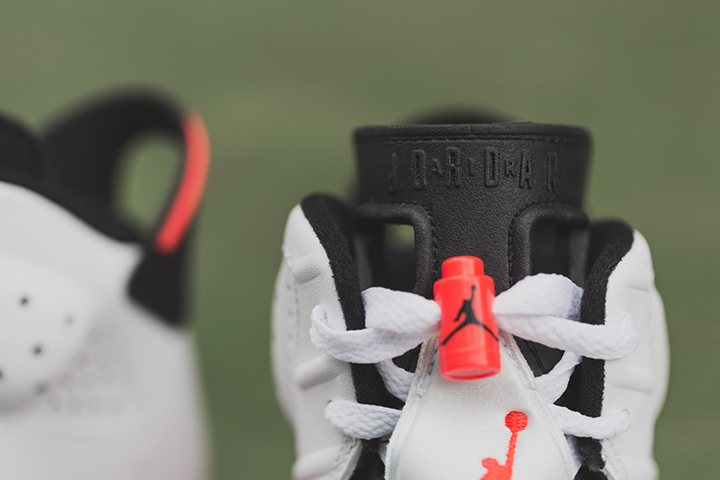 The hair in the soup was Jordan Brand releasing a US only double pack around the same time, which actually had both the black and white infrared versions in a two drawer box. Some got lucky getting hold of that one but those who missed out will be pleased to see this release on the horizon. 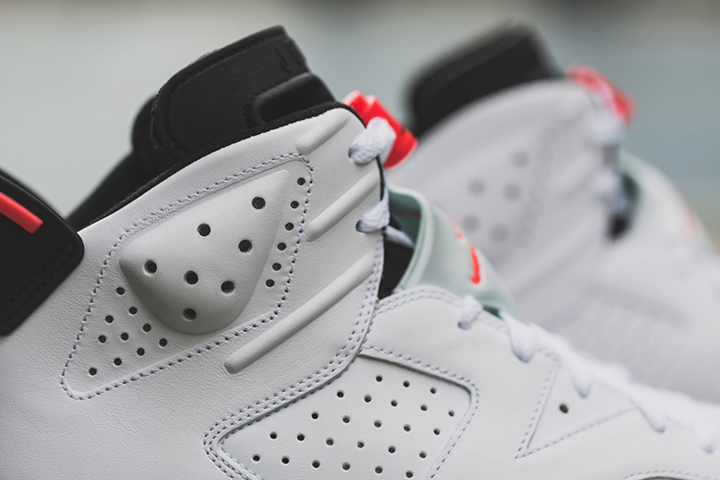 For now it’s the white leather version which sees a reissue but we’re pretty sure this is a sign of things to come, with the much coveted black nubuck version also looking set to make a comeback. This time around it’s a release that will be more readily available. 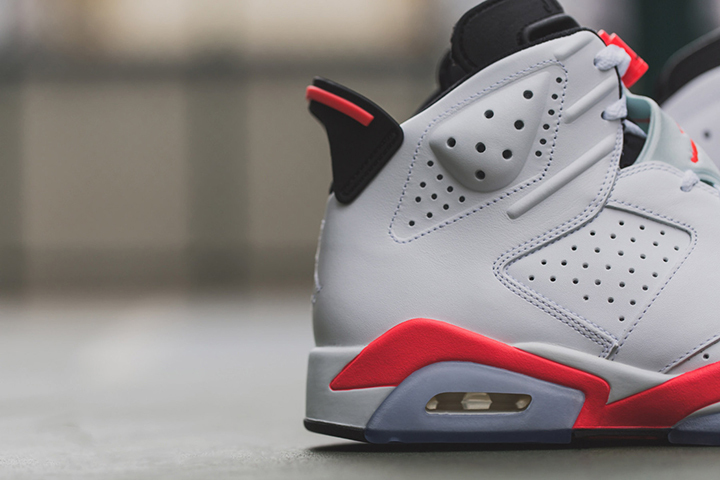 The Air Jordan 6 ‘Infrared’ (White) will be available on February 15 at Jordan retailers such as Urban Industry, End, 5pointz and Crooked Tongues.